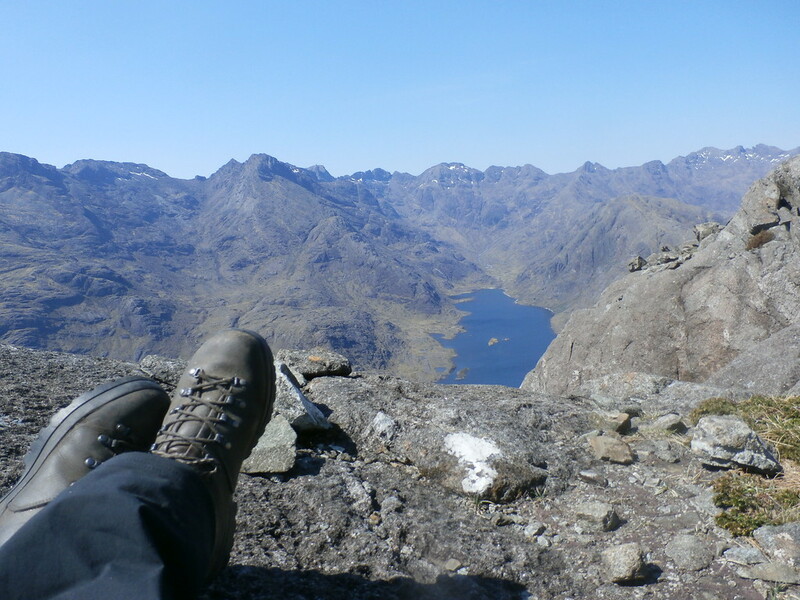 Originally from Yorkshire I moved to Scotland in 1990 to spend more time in the outdoors. Climbing , trekking and travelling has taken me from the Gritstone crags of my youth to wild and remote areas in Britain and Ireland, Europe, North America, Bolivia, Nepal and Patagonian Ice Cap. 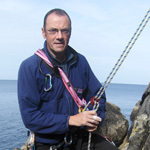 I work in a variety of outdoor roles and environments, delivering outdoor activities, educational/learning programmes to a diverse client range including – schools and young people, sports teams, learning and physical disability groups, military, corporate team building, stag and hen parties, families and individuals. I’m a qualified Summer and Winter Mountain Leader, John Muir Award Leader, Bushcraft and Wilderness Living Skills Instructor, member of Mountain Training Association and Institute of Outdoor Learning, First Aid qualified and about to complete Wilderness Guide training programme. Qualifications need to be backed up with experience, you have to be ‘out there’. As a novice 15 year old wannabe mountaineer I first visited England’s highest summits in the Lake District – 42 years later I’m leading groups through those same mountains and dales and it’s still as enjoyable. Ben Avon summit plateau. 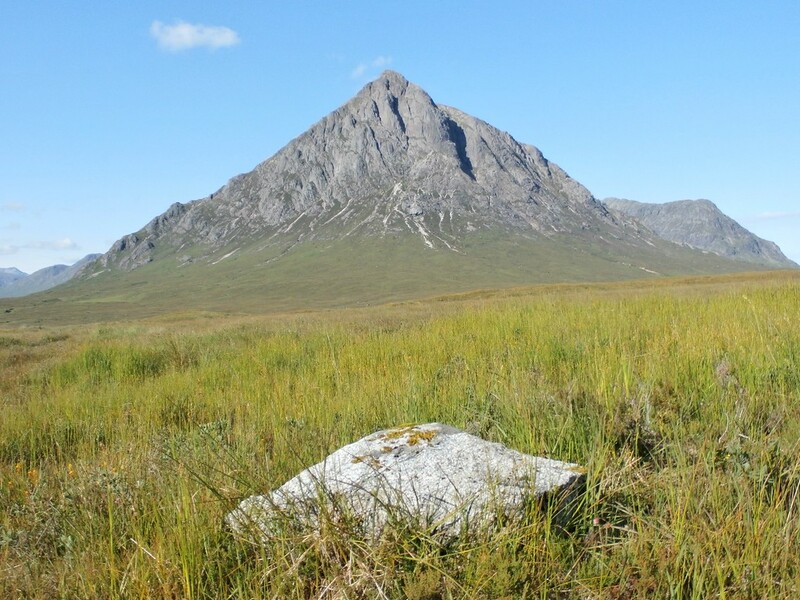 It feels remote – a long walk-in; wild-‘the path less travelled’ untrammeled spurs and tors to explore (found a 1947 Half-Crown lying on surface of gravel below a small outcrop…) ; somewhat ethereal, especially on a solo bivi trip. Im an accomplished engraving artist. Favourite joke – ‘Orange for a head’…. Please ask. 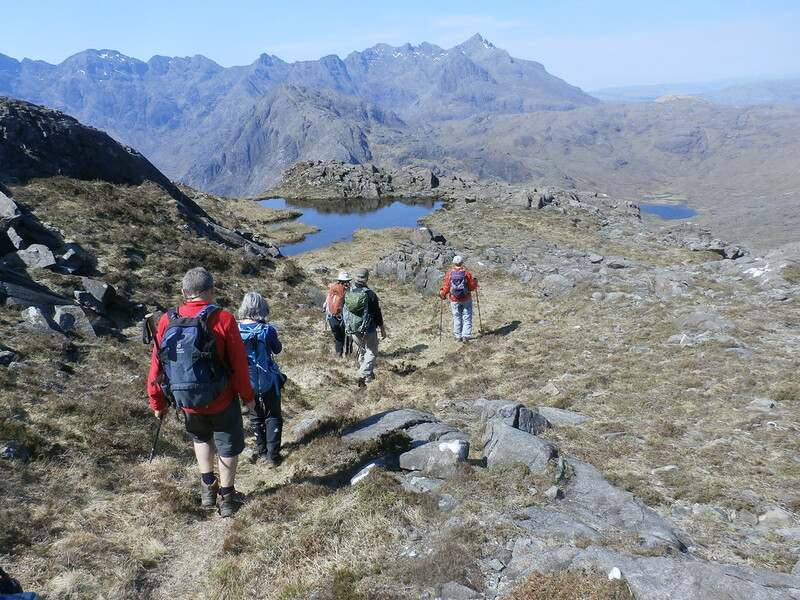 “Outdoors there’s always something new to see and learn, because, as Nan Shepherd said –‘the thing to be known grows with the knowing’. Alistair was a superb guide: he always briefed us on the next day’s trip, and was a mine of information on geology, history, fauna, flora, etc of the area. Peter was an outstanding guide, who, right from the outset, set the tone, for what transpired to be a superb week, with his easy manner, obvious competence, inclusive approach and dry sense of humour. 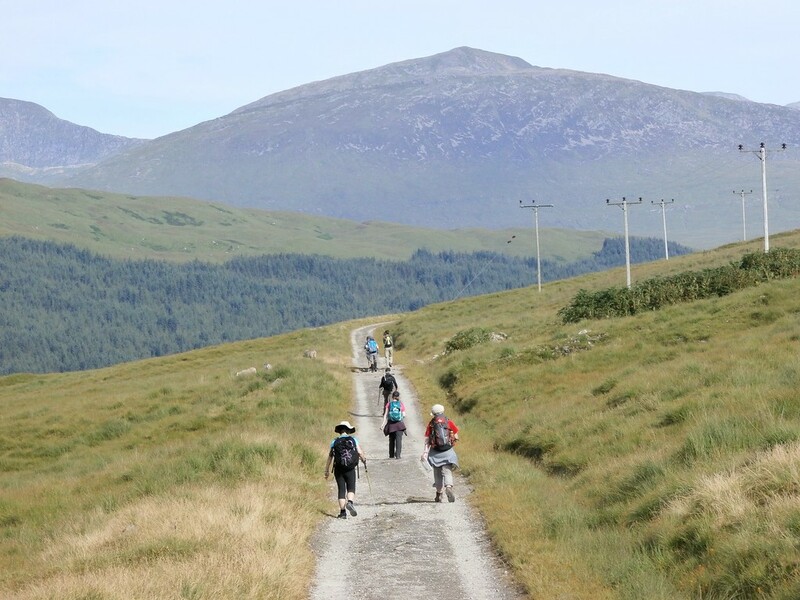 On the walks, he clearly had an excellent knowledge of the area and chose routes and pace that were well suited to the group and the weather conditions. Whenever we stopped for a rest, he always had something interesting to say or show us about the countryside or local wildlife. He was also very safety conscious and was particularly helpful in removing the odd tick! 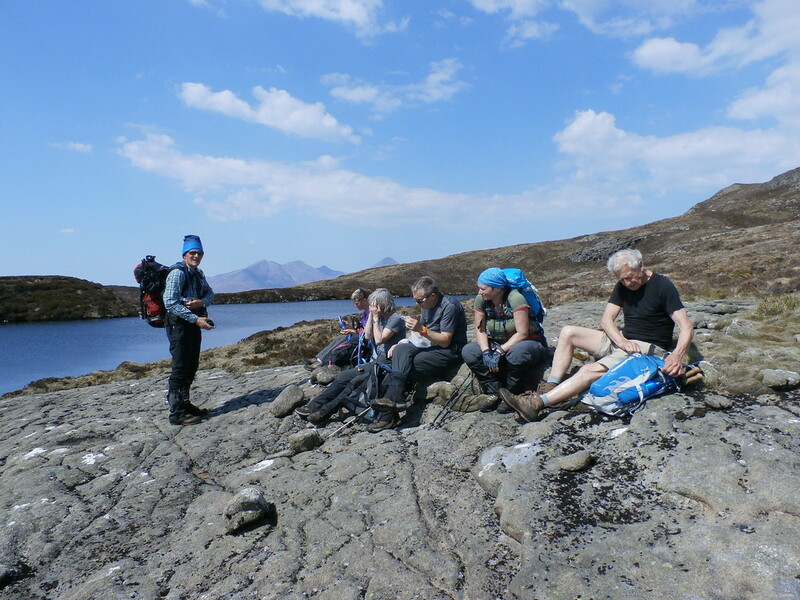 As well as enjoying the varied walking, amazing scenery and the boat trips, we all learned a huge amount from Pete over the week and it would be an absolute delight to do another trip with him. He was very astute and had a clear understanding of people and decision making was appropriate in relation to safety due to inclement weather. 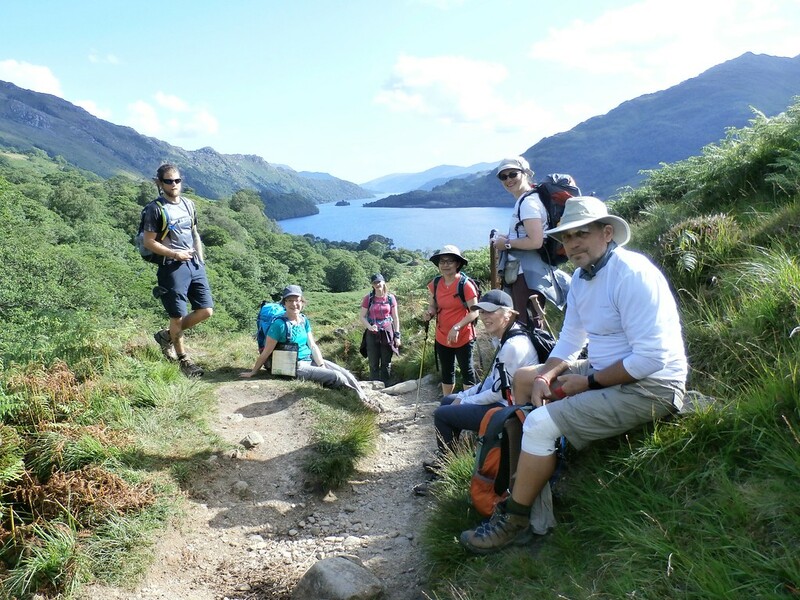 Peter was very good, great knowledge of flora and fauna exhibited, kept the group walking at the required pace. Dealt efficiently with any issues and group dynamics. Particular highligths wwere his motivational poems/talks every morning and the passion he displyed for his job and the coumtryside. 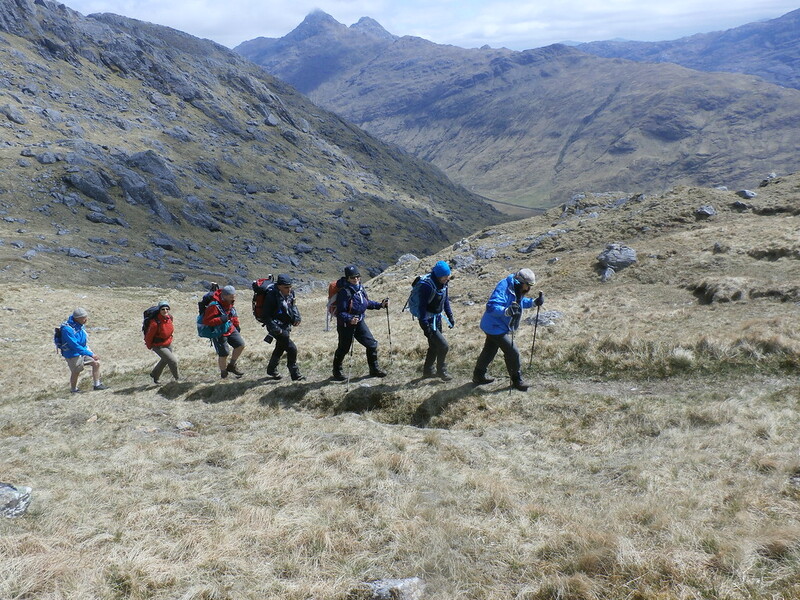 Pete was knowledgeable, encouraging, enthusiastic and clearly passionate about the Scottish wilderness and experiencing it fully. Pete had a lovely way of keeping the group together with individual needs considered. As mentioned earlier - I thought Pete was just fantastic. A thoughtful, considerate man with a real passion for nature and ensuring the group got a very unique experience. And a fantastic sense of humour and play! 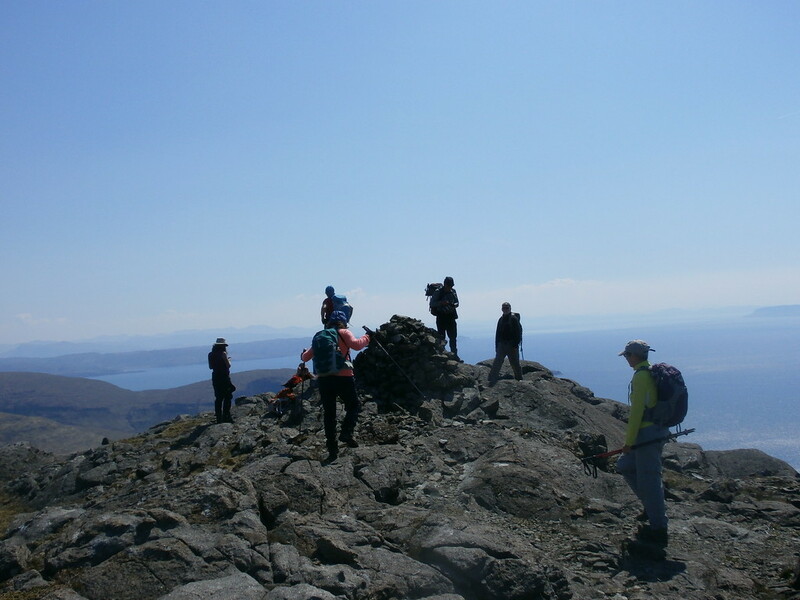 Pete's life experience and specific wisdom as an outdoor enthusiast was perfect for our group. He is humble and gentle while being real and pointed. I adore him! He shares his beliefs about wilderness through poetry and they align with mine so I loved his perspective and approach. He made it easy to ask for help...and to sink into and enjoy the moment. i am so grateful he was our guide. As already written - Pete Long is a superb guide. 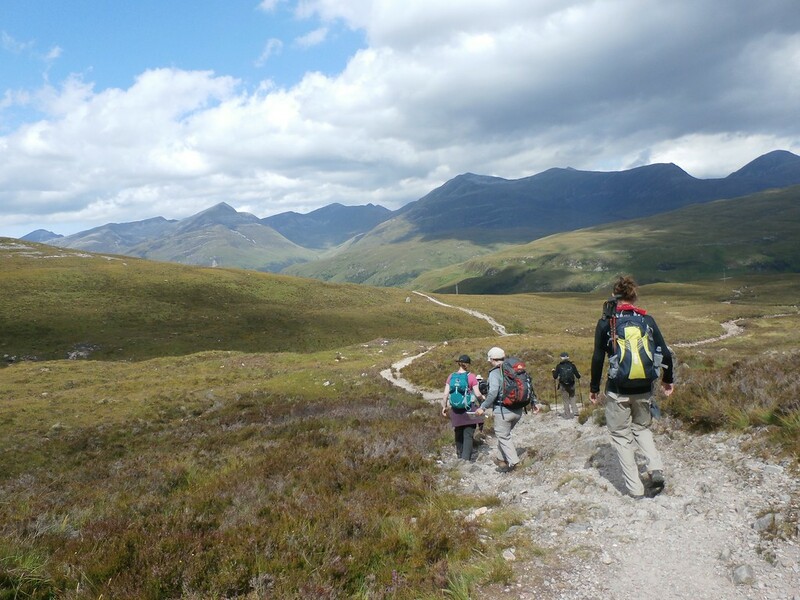 Very knowledgeable and passionate about walking, wilderness, nature, people and how we engage and respond. His quirky sense of humour and "start of day" readings of poetry or prose were an inspiration joy. A truly great guide. 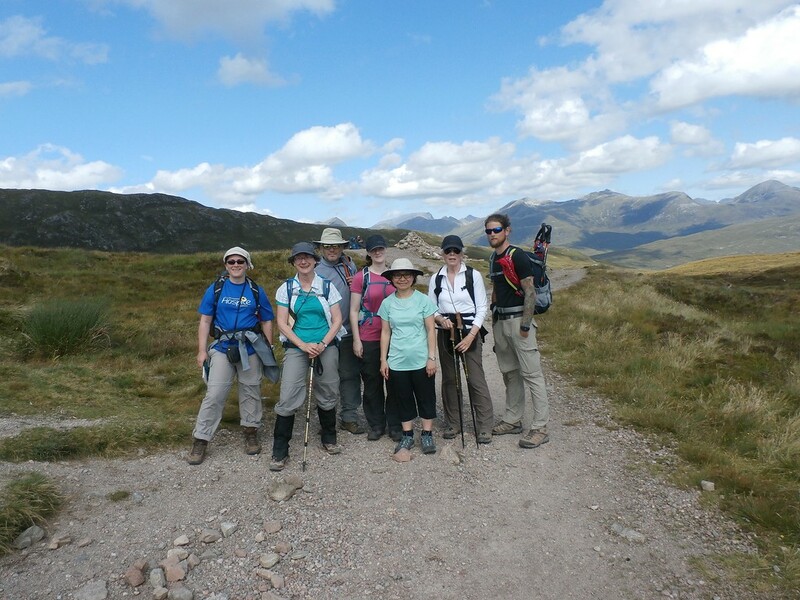 We were also particularly fortunate to have David R. (Wilderness Scotland) with the group. David's knowledge and enthusiasm, and Kirstie's 'joie de vivre', added to a truly memorable trip. Pete, thanks for your calm, thoughtful manner and great wit. We loved having you as our guide; you made the holiday truly great. Pete was outstanding! He made a point to walk and talk with everyone on the hikes. He told us poems during the hikes which made it more fun! Overall the guide was excellent. 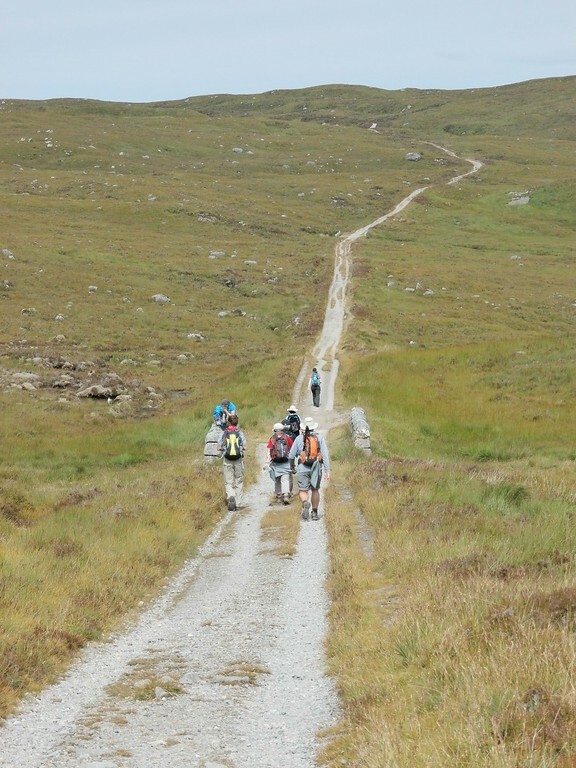 The pace of the hiking was sometimes quite fast and precluded even enjoying the scenery, needing to watch every foot step. Pete Long is a great guy and guide. He is considerate, thoughtful, kind, helpful, and very knowledgeable. Pete was fantastic! He had great stories and he did a great job at trying to accommodate every body in the group. Pete was super safe and thorough. And a total nutter with his dry sense of humour. Thank you to the crew of Eda Frandsen and thank you very much, Peet! Peter looked after us on all our Walks. He provided knowledgable information about the natural environment we encounter. The walks usually included a relevant poem. Sometimes we could not work out if he was being funny or serious but it was all done in a good natured way. 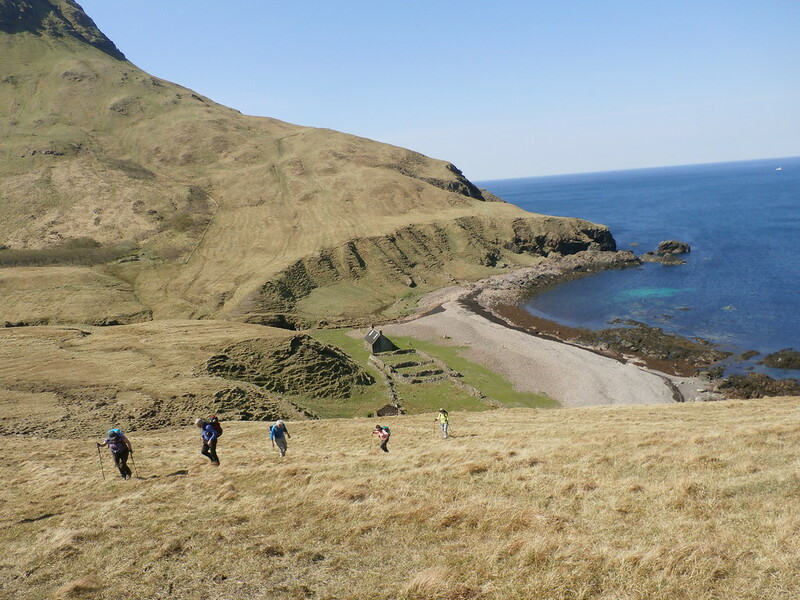 Pete gave us a great series of varied island and wilderness walls which exceeded my expectations. As above he responded correctly to a medical emergency and also made use of the groups resources...I'd the two retired doctors. Good humoured as you would expect of a horrified birth Scott. 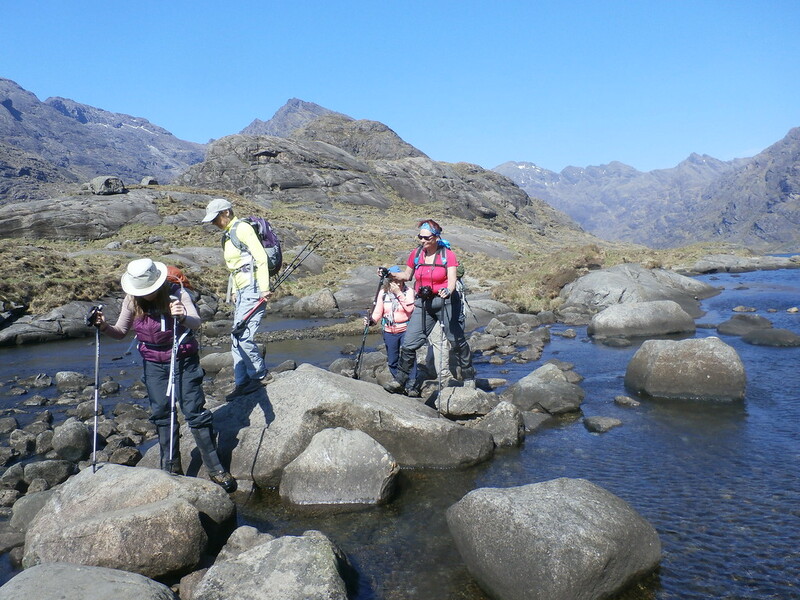 Pete Long was the Best guide we have had both with Wilderness Scotland and other guided trips we have been on. Pete was meticulous in briefings the evening before. One day when there was a stiff breeze, and taking the whole group into account, we had a change of plan ( though there was a democratic vote on it too). Faced with an accident, Pete handled it quietly and efficiently (aided by Andy of Doune). In the middle of the incident, Pete waded into a very slippery burn to help me because I wa on the wrong bank!!!! He did that with two packs on his back! Thanks to Pete, guide extraordinaire ! Knows his mountains, and how to make it a great experience for everybody. Thank you to Pete, who guided us confidently, involved all of the group in shaping the experience, was sensitive to our different abilities, shared his expert knowledge and administered first aid expertly when Allen needed it. He is definitely a "kindly curmudgeon" and I liked his open, quiet and straightforward approach. Pete was very insightful, persistent, calm in the face of adversity, compassionate. confident. He was a strong leader. Pete was the perfect guide. 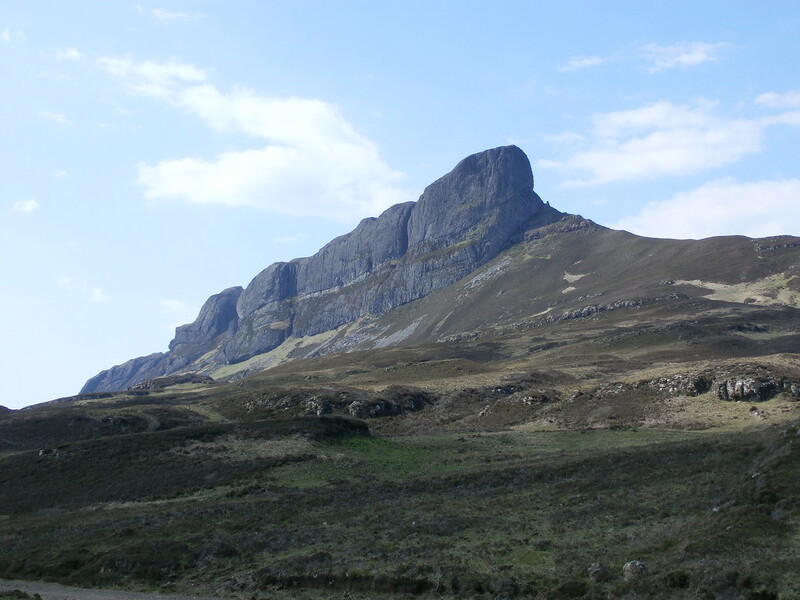 He shares just the right amount of pertinent and interesting information about the highlands. And he has the most delightful sense of humor. Pete was just brilliant! Lovely guy, funny, knowledgeable, experienced. I loved his tendency to start walks with a poem. Kept the whole group together and happy, I am now proud to have heard the orange for a head joke! Also great when things don't go to plan, we had a member fall dislocating a finger and needing stitches. Pete dealt with this calmly and efficiently, managing what could have been a tricky situation expertly. He really is an asset to you and we were thrilled to have him as our guide. 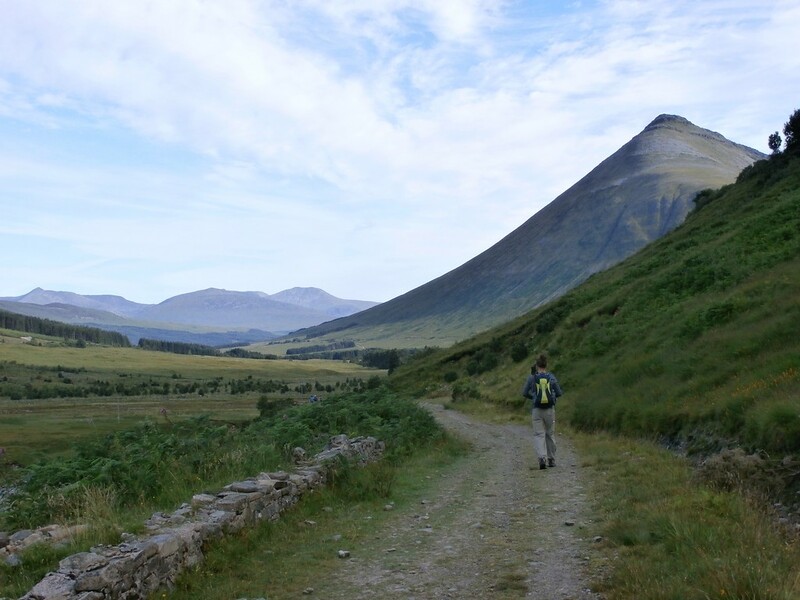 The dilemma: what to bring on the West Highland Way?